New and improved! 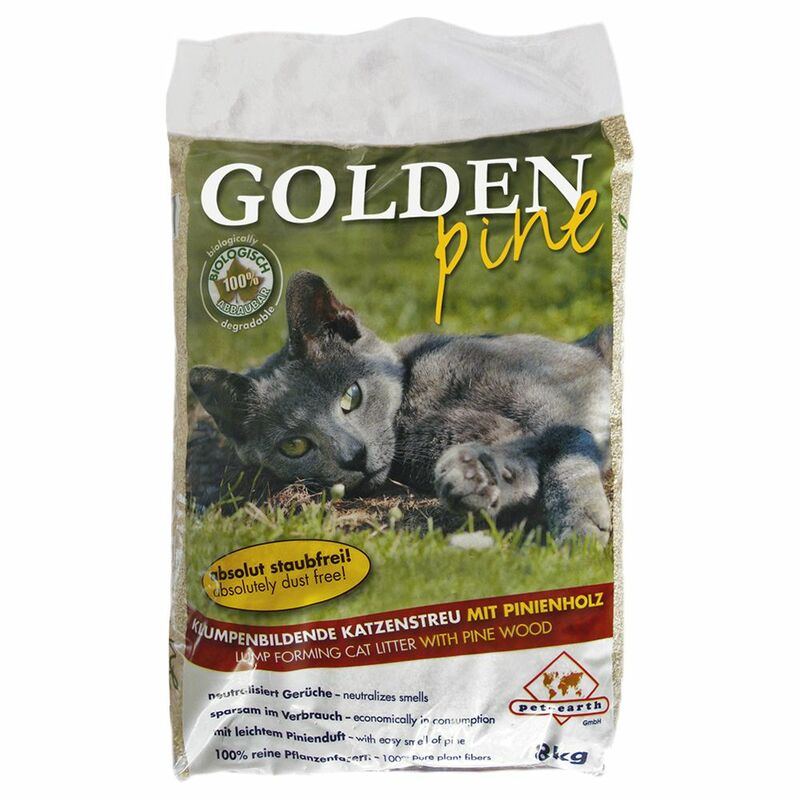 Golden Pine cat litter now with a new recipe: better clumping for more economical use making cleaning up easier as well as improved odour absorption for neutralising nasty odours. Golden Pine clumping litter is a 100% natural product from pine wood - a quickly growing, renewable resource. Golden Pine Cat Litter is dust-free! It absorbs and neutralises odours in the cat litter tray and spreads a gentle, lovely pine scent. Golden Pine clumping litter is 100% compostable and can also be disposed of through the toilet. Its really light weight, so you won't have to carry those 15 kg bags anymore! An extraordinary cat litter from renewable resources! All advantages of Golden Pine Cat Litter at a glance: Biodegradable and made of renewable resources Dust-free Quick, firm clumping Can be disposed in compost or toilet Economical Lightweight Effective odour neutralisation Free from bentonite Fresh pine scent guarantees good acceptance.